The triple screen trading system can be nicely illustrated with an ocean metaphor. The first screen of the triple screen trading system takes a longer-term perspective and illustrates the market tide. The second screen, represented by an oscillator, identifies the medium-term wave that goes against the tide. The third screen refines the system to its shortest-term measure, identifying the ripples that move in the direction of the tide. These are the short-term intraday price movements that pinpoint entry points for your buy or sell orders during the trading day. If you need a refresher, check out Triple Screen Trading System - Part 1, Part 2 and Part 3. Fortunately, for those of us who have become weary of interpreting charts or technical indicators in the first and second screen, the third screen does not require any additional technical talent. Instead, the third screen provides us with a technique for placing stop orders, either buy stop orders or sell stop orders, depending on whether the first and second screens direct you to buy or to sell short. More specifically, the third screen is called a trailing buy stop technique in uptrends and a trailing sell stop technique in downtrends. When the weekly trend is up (identified by the first screen) and the daily trend is down (identified by the second screen, or oscillator), placing a trailing buy stop will catch upside breakouts. When the weekly trend is down and the daily trend is up, trailing sell stops catch downside breakouts. Each situation deserves further examination. When you have identified that a longer-term (weekly) trend is moving up and your medium-term (daily) oscillator declines, the triple screen trading system activates a trailing buy stop technique. To instigate the trailing buy stop technique, place a buy order one tick above the high of the previous day. Then, if prices rally, you will be stopped into a long position automatically at the time that the rally exceeds the previous day's high. If, however, prices continue to decline, your buy stop order will not be touched. This technique allows you to be stopped into your order if the shortest-term ripples have sufficient momentum to power the wave into the greater tide. The buy stop is therefore most closely related to what most traders would label as momentum investing. However, the use of all three screens within the triple screen trading system provides a much more detailed and refined picture of the market than the simple concept of momentum generally provides. For further reading, see Introduction To Momentum Trading. If you want to further refine the trailing buy stop technique, you can lower your buy order the next day to the level one tick above the latest price bar. Keep lowering your buy stop each day until stopped out (filling your order at the very best time!) or until your long-term (weekly) indicator reverses and cancels its buy signal (saving you from a loss!). The reason that the buy stop technique is prefaced by the trailing qualification relates to this fluid nature of the buy stop order. You must, however, remain vigilant in monitoring the market's momentum, and you must be diligent in continually moving your buy stop to one tick above the latest price bar. 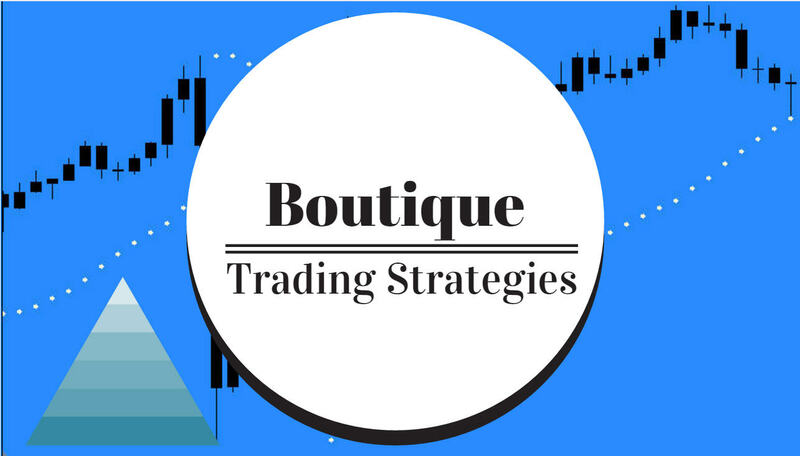 The process can be laborious, but it will ensure that you either fill your order at the very best price or avoid a poor trade altogether if the market fails to move your way. Trailing Sell Stop Technique The opposite situation occurs when your long-term (weekly) trend is down, at which time you would wait for a rally in your medium-term indicator (oscillator) to activate a trailing sell stop technique. In the trailing sell stop technique, you place an order to sell short one tick below the latest bar's low. When the market turns down, you will automatically be stopped into your short trade. If, however, the market continues to rally, you can continue to raise your sell order on a daily basis. Opposite to the trailing buy stop technique, the trailing sell stop technique is meant to catch an intraday downside breakout from a daily uptrend. As you can see, the intraday downside breakout moves in the direction of the market tide, which in this case is a weekly downtrend. The trailing buy stop and trailing sell stop techniques are the ultimate refinements to what is already an extremely powerful trading system within the first two screens of the three screens. Using a less developed indicator, many beginning traders will engage in a system of trailing stopped orders when they attempt to gauge market momentum. By employing a longer-term chart and a medium-term oscillator first, you can capitalize on the short-term market ripples as you make the best trades that this intraday allows. The next section of this series will bring the triple screen trading system to a close. The journey through all three screens has been long, but the result is most definitely worthwhile. If you are able successfully to implement the triple screen trading system to its fullest, you are on your way to being ahead many other trader with whom you are competing for profits! To learn how the triple screen trading system actually assists a trader to secure a profit and avoid significant losses, move on to Triple Trading Systems - Part 8.